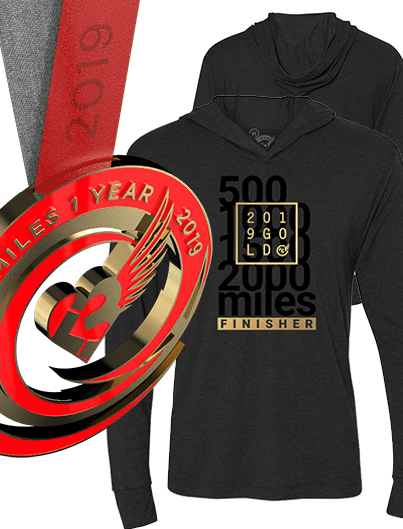 "Absolutely stoked to hit my goal and work on my stretch goal of 1200 miles through year end! I LOVE TO RUN!" Bradley T.
2. Run, walked, or worked out for 100 days in one year. Anyone who accomplishes either of those things is golden in our book. 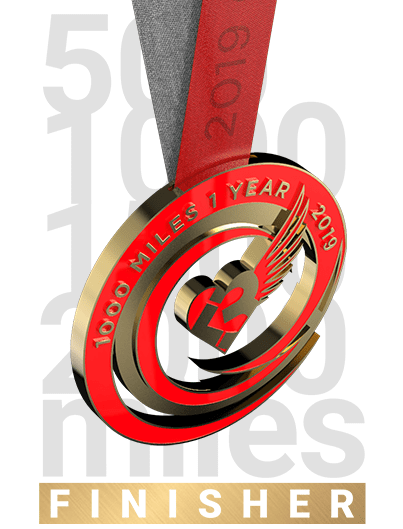 Choose your medal for either the 1000Miles1Year, 1500Miles1Year. 2000Miles1Year or 100DaysOfMiles. 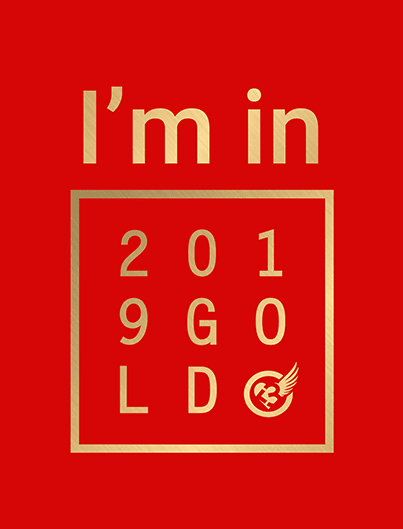 *Friends, this is NOT a real gold medal.